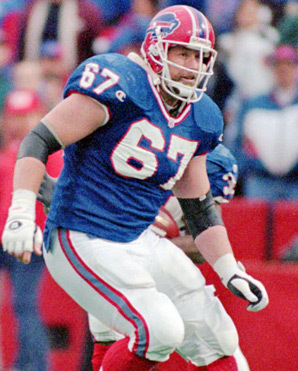 A news bulletin caught my eye earlier today regarding the sudden passing of former Buffalo Bills center, Kent Hull. Hull played during what can only be described as the golden age of Buffalo Bills football. I am a Buffalo native, born a year after Hull joined the team. Growing up the Bills were not a football team, they were a religion. In the front foyer of my old elementary school huge signs hung showing the Bills entire schedule, as well as win/loss information. This was an elementary school. During this time, the Bills were a powerhouse in the NFL. The oft-mentioned factoid of losing four straight Super Bowls notwithstanding; Hull was the anchor of the offensive line for over a decade. At one point he played in 121 consecutive games. Hull played a key role in establishing the “K-Gun” offense Buffalo used to reach all four of those Super Bowls. Between 1989 and 1993, the Bills ranked no lower than sixth in total rushing yards, not to mention leading the entire league in 1991 and 1992. His blocking certainly contributed. Hull retired in 1996, and was inducted into Buffalo’s “Ring of Honor” in 2002. Hull played a non-glamorous position on a team with lots of star power. He didn’t score touchdowns. He wasn’t on the magazine covers. He wasn’t the player you picked the Bills for in Techmo Super Bowl. (Thurman Thomas was a BEAST.) He was simply the man who snapped the ball to Jim Kelly before he threw to Andre Reed. Before I wrote this, I wondered to myself if there was anyone else on the past Bills teams that would prompt me to wax nostalgic. I don’t think there are. Kent Hull represented the workman-like qualities a city like Buffalo can appreciate. He showed up. He played hard. His passing is made even more tragic by its sudden nature. Kent Hull was 50 years old. You’ll notice the perfect snap and blocking in this play. I refuse to acknowledge any rushing play from that game at less than 85 yards.